Through intensive education the POSTECH Graduate School aims to produce creative scientists and engineers capable of researching in-depth theories and producing broad applications of their findings in science and technology; thus, POSTECH will significantly contribute to the advancement of the nation and the human society in general. 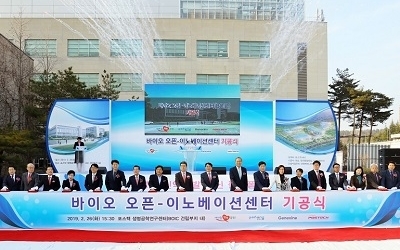 POSTECH’s Graduate School provides programs for master’s degrees (hereinafter referred to as the “Master’s Program”) and doctoral degrees (referred to as the “Doctoral Program”), and an integrative program combining both master’s and doctoral programs (referred to as the “Integrative Program”). Details on awarding master’s and doctoral degrees are stipulated separately, but when students under the Integrative Program meet the requirements for the Master’s Program, master’s degrees can be awarded. (1) The Graduate School has departments of Mathematics, Physics, Chemistry, Molecular & Life Science, Material Science & Engineering, Mechanical Engineering, Industrial Engineering, Electronic & Electrical Engineering, Chemical Engineering, and an interdisciplinary program of Environmental Engineering. (2) The quota of each program depends on the approval from the Ministry of Education.